Sam Francis went from painting while lying prone in a hospital bed for several years after a plane accident during Army Air Corps flight training to becoming one of the twentieth century’s most profound Abstract Expressionists. When he was released from hospital in 1947, he took a BA and then an MA degree in 1950 from U of CA Berkeley. 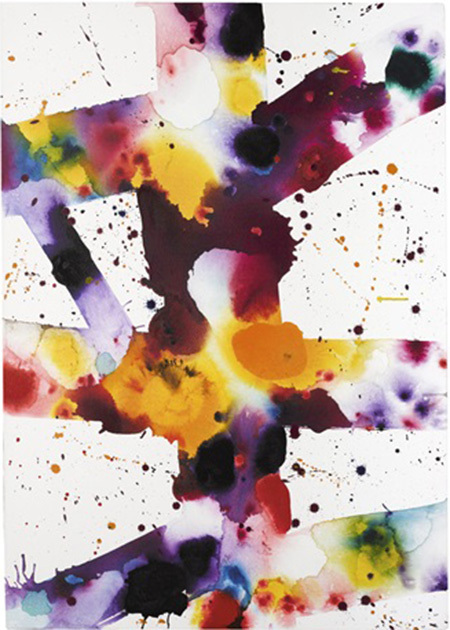 Sam Francis went on to develop an international reputation, first moving to France. He maintained studios in Paris and the south of France, where he immersed himself in the study of the French colorists like Claude Monet and Pierre Bonnard. He was influenced by close friendships with the Matisse family and other artists like Joan Mitchell. Largely regarded as a California painter, Francis was probably the most international of all the American artists of his time. From the 1950s -1980s, he maintained studios in Bern, Paris, Tokyo, Mexico City, NYC and California and was exposed to many styles, techniques and cultural influences, informing the development of his own dialogue. He was always transforming himself, forever exploring the very nature of creativity. From the ephemeral forms of the Blue Balls series to the intense color of the all-over paintings, Francis takes us on his journey of discovery of his aesthetic vision.